For some reason, Keurigs make me think of the holidays. There’s something magical about the ability to make yourself a single cup of coffee with minimal effort. That and my mom, aunt, and grandmother have Keurigs, so maybe that’s why I make this association. 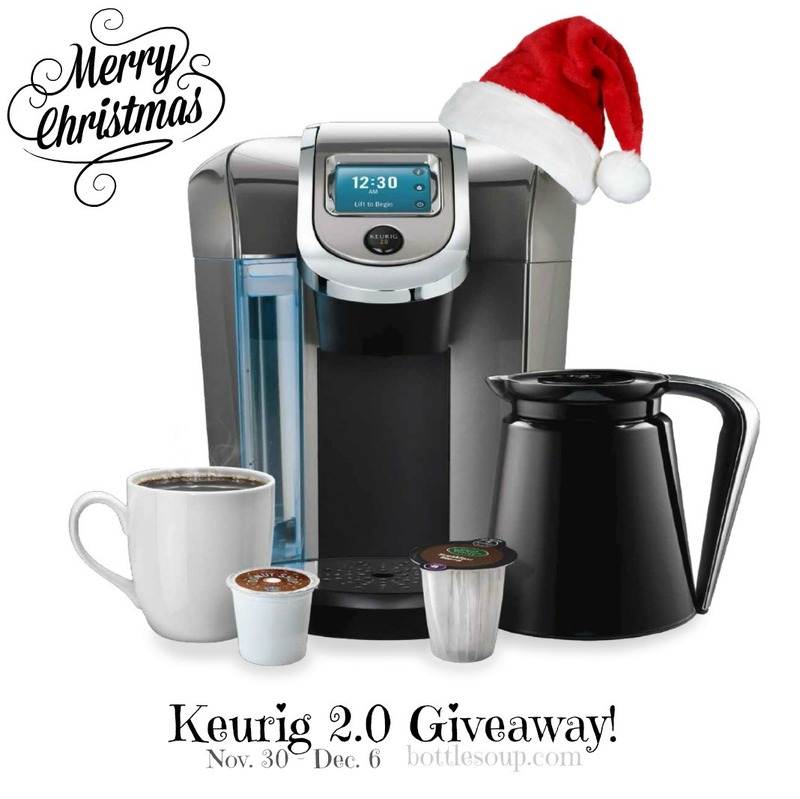 This year, I’m very excited to be giving away a Keurig 2.0 with a few special surprises. The total prize value is $300, and you can enter below by using the Rafflecopter widget starting November 30th. Some options offer multiple entries for an even greater chance of winning! Good luck and happy holidays! CHECK BACK NOVEMBER 30th FOR YOUR CHANCE TO WIN! *This post contains affiliate links and advertisements. The BOTTLESOUP Christmas Keurig 2.0 Giveaway is not associated with or sponsored by Keurig or its parent company in any way, shape or form, and the views expressed on bottlesoup.com are solely my own.